It has been about two weeks since our exhibition at the Internet Retailer Conference and Exhibition which i95Dev took part in on June 5-8 in Chicago. 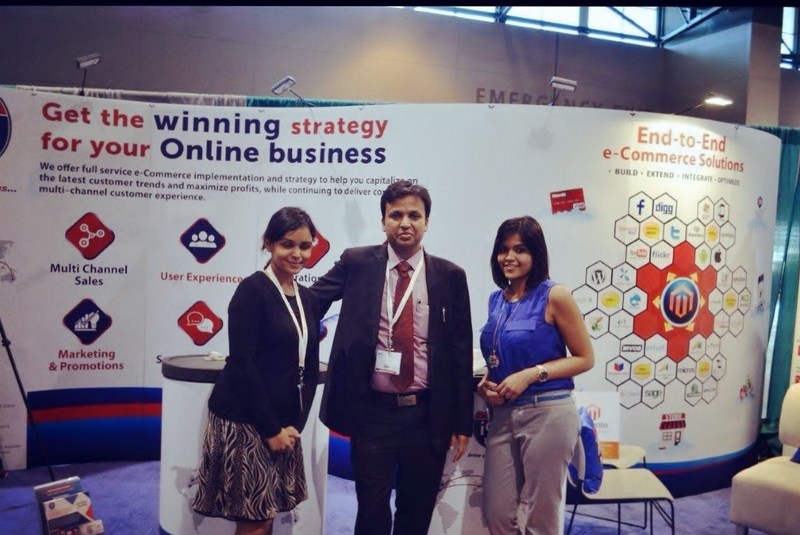 The IRCE which is the largest eCommerce event in the world hosted 8,000 eCommerce executives at this year’s conference. On the agenda were many influential keynote speakers including the CEO of Barnes & Noble and Walmart. i95Dev was among the 570 companies that were there to exhibit their talents in the eCommerce world. This accounted for almost 90 percent of the world’s eCommerce population all together under one roof! It was an amazing place to be on June 5-8 in beautiful Chicago. All of the exhibitors were there to show off their eCommerce technology and i95Dev was no exception. The i95Dev booth, number 112, had a great time exhibiting at the conference. We talked about the importance of eCommerce for companies large and small. We showed participants just how i95Dev can make their companies stand apart from the rest by integrating eCommerce seamlessly into their operations. We had great traffic and were able to inform many company executives just how i95Dev and eCommerce can boost their business potential. After the exhibition we were able to have an enjoyable evening at the magical Shedd Aquarium where we enjoyed listening to a panel discuss the importance of transparent commerce and the disruptions that occur to shoppers. This panel discussed how retailers can market to these consumers. The panel took place on the rooftop of the Shedd Aquarium where we were able to have a breathtaking view of Lake Michigan. We were in the presence of names such as Google, eBay and Forrester, just to name a few. We were also fortunate enough to take part in the Networking Banquet Dinner hosted by IRCE. This took place after the second night of the show and was held in the ballroom at the infamous Navy Pier in Chicago. This was a gorgeous celebration of a successful exhibition that included cocktails, infamous Chicago dishes and live music. We were even treated to a breathtaking fireworks display that took place at the end of Navy Pier. We at i95Dev are very excited about our involvement in the IRCE 2012 and hope that we were able to help many companies realize the importance of eCommerce in today’s world.